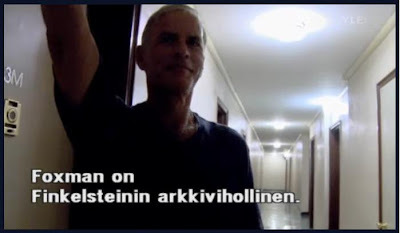 FINNISH STATE BROADCASTER YLE GIVES PLATFORM TO VITRIOLIC SERIAL ISRAEL BASHER BRUNO JÄNTTI……. – The Tundra Tabloids……. 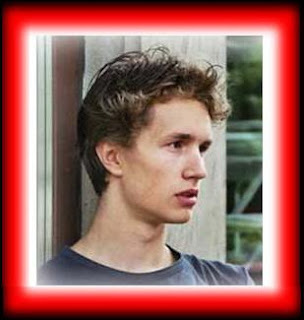 FINNISH STATE BROADCASTER YLE GIVES PLATFORM TO VITRIOLIC SERIAL ISRAEL BASHER BRUNO JÄNTTI……. of course I hate Israel let me count the ways! The Finnish state run broadcasting organization, YLE, is well known here in Finland for its anti-Israel animosity, so it shouldn’t surprise that they seek the views of one of Israel’s worst detractors, Bruno Jäntti, a hard Left Finnish activist who belongs to the radical anti-Israel “Israeli Committee Against House Demolitions (ICAHD)”. Broadcast in Finnish here for the next four days. The reason for the interview with Jäntti, was that the Finnish branch of the ICAHD seeks to get the Finnish government to divest from being a major arms trading partner with Israel. Supposedlly, according to Jäntti, Finland flouts EU regulationswith its arms trade with the Jewish state of Israel. Vasarahammer informs the Tundra Tabloids that Jäntti “criticized the sale of missile guidance system components to Israel and claimed that Finland was participating in “Israeli war crimes”. Face it folks, the Arabs play these Lefty stooges like a fiddle, and for sure, many of them know very well that what their being fed is a bunch of bull sh*t, but it serves their purposes for demonizing what they believe is the last vestige of “Western Imperialism” (hey Jäntti and your fellow Lefties, how about that Hasmite and Saudi kingdom?). It’s all about tearing down, (in other words classic nihilism of the Left) and nothing about the truth. So when they lie like a rug as do their Islamic buddies, if it’s for the glory of Leftism, while the Muslims lie for the glory of jihad in their joint struggle to destroy the West. So it doesn’t bother Bruno Jäntti one bit that his hero, Norman Finkelstein “denies the Holocaust as a uniquely evil deed, equates Israel with the Nazis, compares persons he disagrees with to Nazis, justifies Hamas and excuses Muslim antisemitism. For good measure, he adds, “I do not think there is very much genuine grief among Jewish leaders about the Nazi holocaust,” for they gained from what he calls “the Holocaust reparations racket.” They “blackmailed Europe, got billions of dollars and then stuffed their pockets, bank accounts and organizations with the money.” Dr.Daniel Pipes. Previous Post Previous Post AFGHANISTANI WOMEN IMPRISONED BECUASE THEY FLED DOMESTIC VIOLENCE……. Next Post Next Post CENTER FOR SECURITY POLICY: CAIR MUST REGISTER AS A FOREIGN AGENT OF IRAN AND THE SAUDIS…….